We all have those days we oversleep or just don’t feel like dealing with coordinating an outfit. On those days, I usually resort to a dress with a cardigan or vest, something easy to toss on. As we transition to fall in Maryland, we have days that feel like mid July and others that feel like November, so an outfit that is versatile and can be shed throughout the day is often needed. Today was one of those perfect, comfortable fall days; it started cool, in the 50’s and hit the 70’s by the afternoon. So I threw on my t-shirt dress, drawstring vest, and ankle booties and flew out the door. I wanted to wear my gray mules today, but I soon remembered I had a few sessions (not just meetings), which means I need to be able to move easily, so I opted for my booties instead. It was functional and practical and when I got a little warm, I just removed my vest. I cannot find this exact dress or vest, but I wanted to share a few similar pieces I found to make your “oversleeping” days a little less stressful. I linked up the options below! These are a few options from Lulus. You can find them here and here. 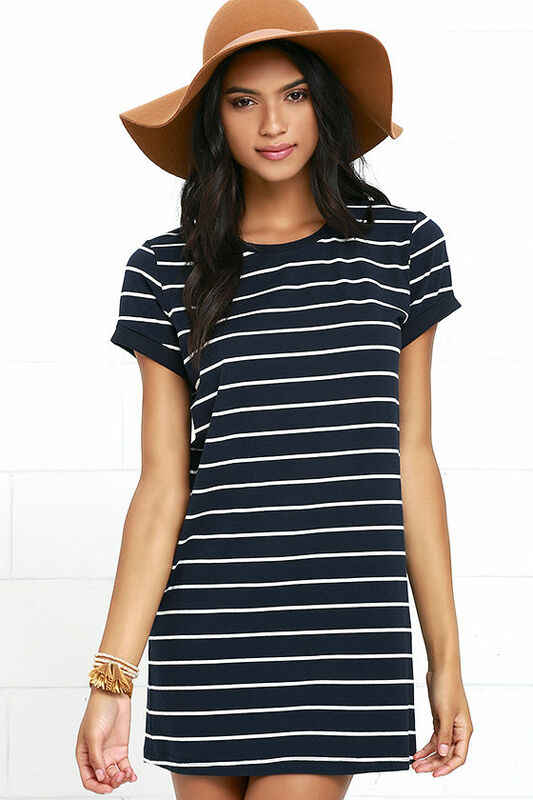 This one is on sale for less than $30 at New York & Company. Cold shoulders are the new cleavage. : ) Grab it here. These two are on sale for $10 at Old Navy. 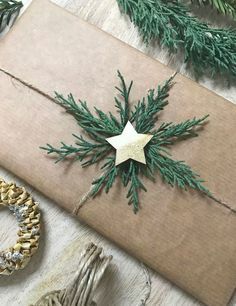 The neutral colors are so versatile! Hurry so you can steal them here. 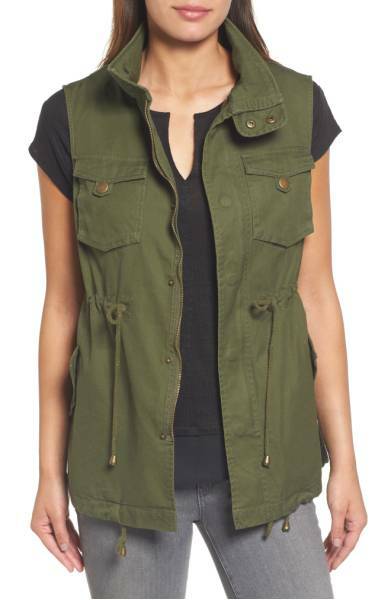 This vest is from Nordstrom. You can find it here. 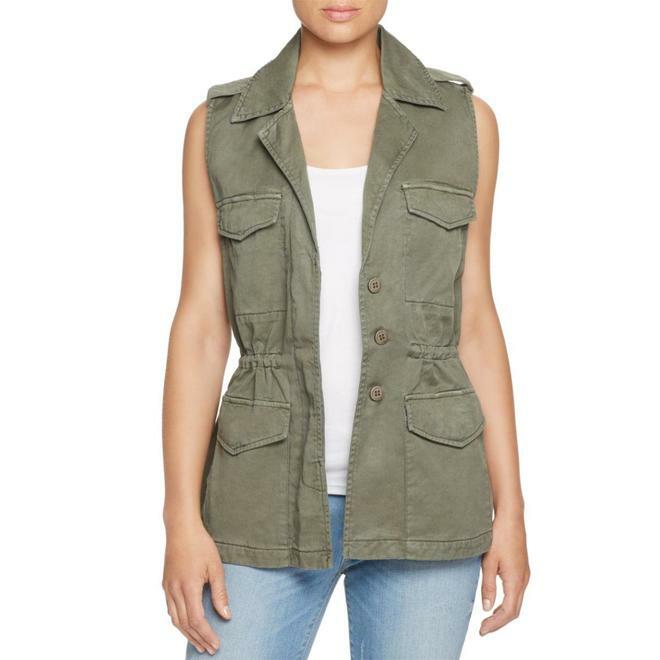 Target carries this vest in olive and gray for less than $30! You can shop it here. Very similar style. No zipper. 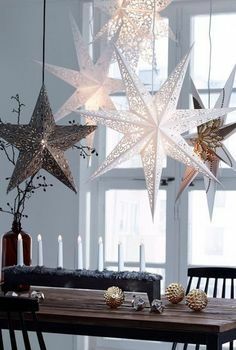 This one is from Sears and you can find it here. You can find these booties here. This is the pair I have from Carlos. 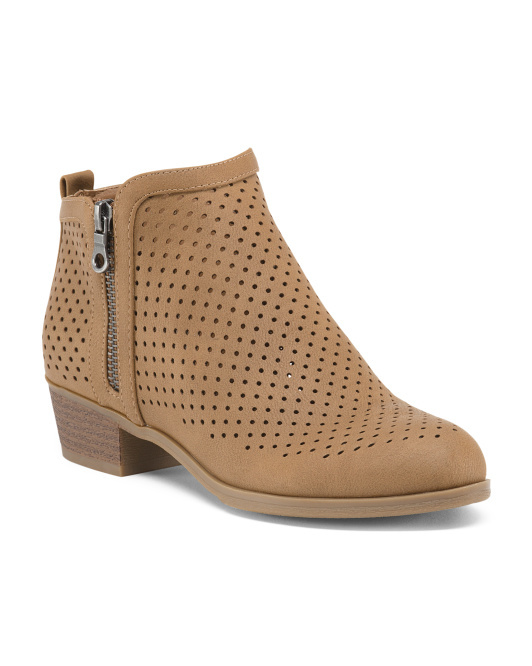 Famous Footwear carries them and you can get 15% off through 10/9 with coupon code LEAVES. 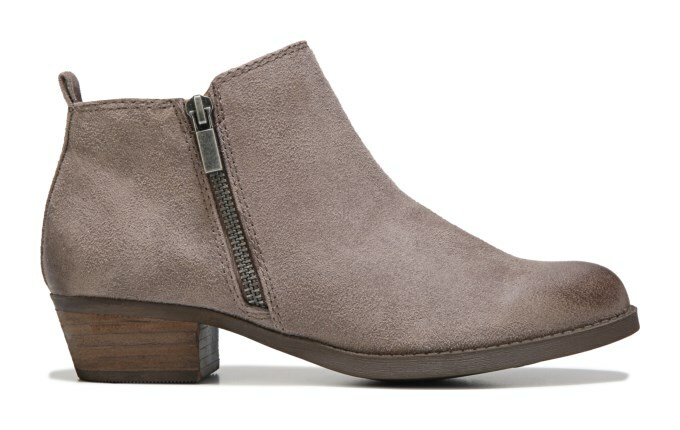 These Journee booties are available in camel, black, and gray here. 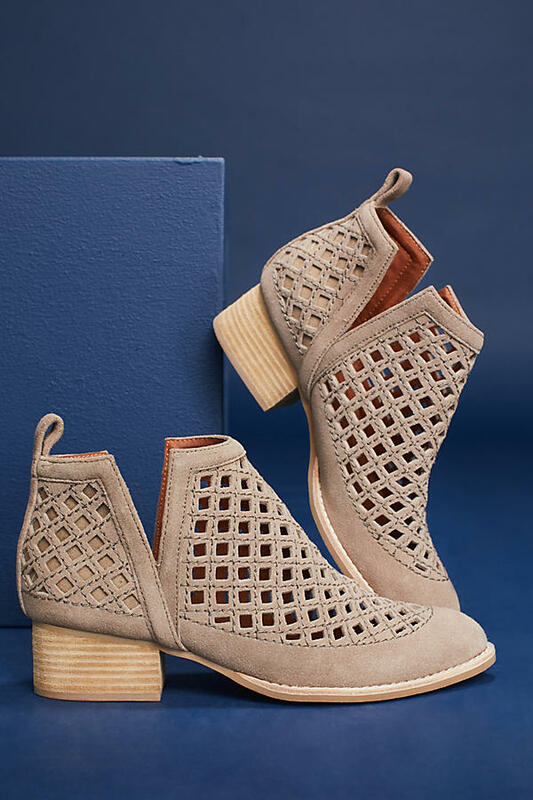 These Jeffrey Campbell Taggart booties are to die for! 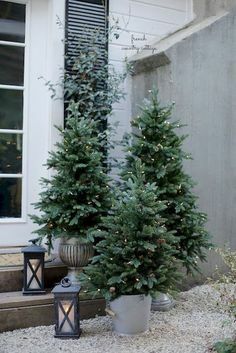 Love the little diamond slits. You can find them here. 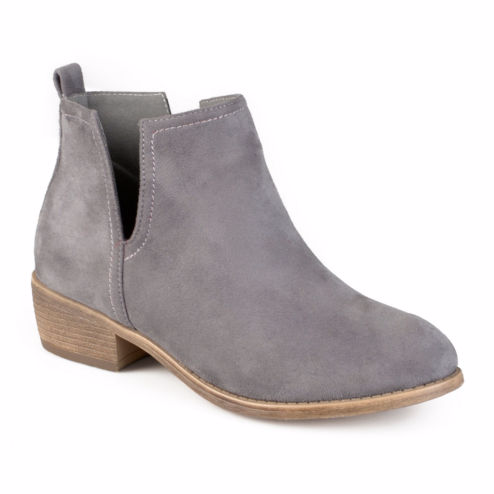 And the best deal is these Indigo RD booties for less than $30 at T.J.Maxx. Shop them here. If you find any other good deals on ankle booties, military vests, or striped shift dresses, please share below! I’d love to see different ways you style your vest for fall as well! 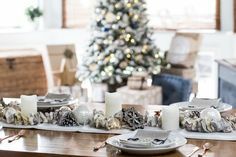 Happy shopping and simple styling!